The Tops Tanks and Tees Knit-along surprised me this year. 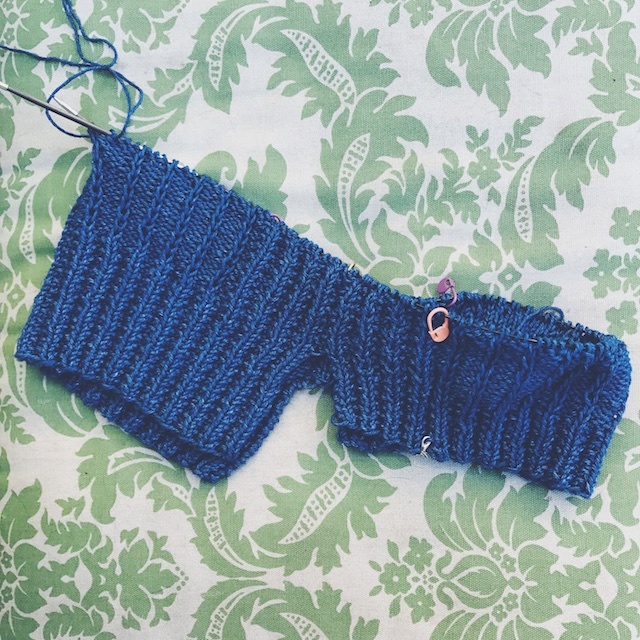 I already had a summer-weight sweater going so I'm jumping in with a WIP this year. I don't usually do that because I love the excitement of group cast on, but I did get to cast this on with the Appalachian Knits KAL, so why not? I'm also entering this vest in Handmade and Woolen's Natural Wardrobe Make-along. So I'm one of those triple dippers now, I guess. I'm really not into splitting my focus several different ways. I truly like all of these 'alongs and what they are about!! 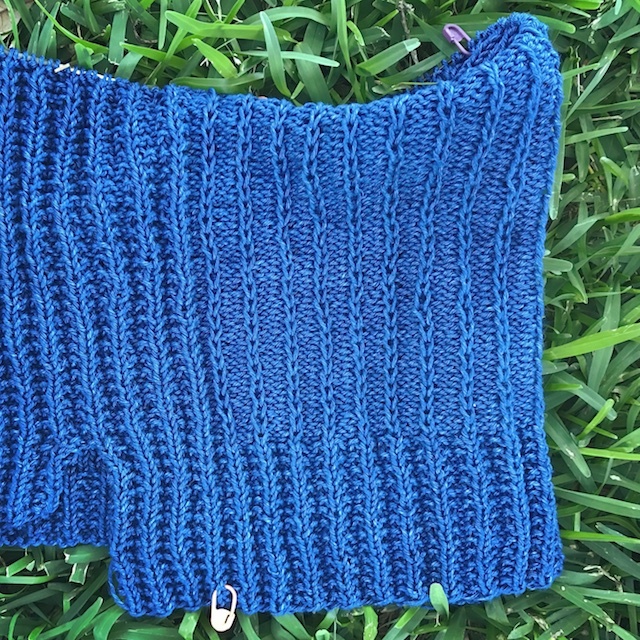 Anyway, this is my Waterrock Vest by Jennifer Kelley from the Appalachian Knits duo. She and Christina Danaee's collection is introducing me to new, natural fibers and dyers from the Appalachian area. It's very inspiring. The sample is fantastic knit in Fern Fiber's Roan base. It's a U.S. grown merino that's naturally dyed and looks incredible in this vest. I love what Fern Fiber is about, but I really need to knit things I can wear more often. I wore sweaters only a handful of days this last "winter." I am so frustrated by the gross, humid heat of the last three winters. That means I need to transition to cotton, linen, bamboo, or blends of any of these. My Julia Sweater was an attempt to move in that direction. I decided tear up the yarn closet and dig up some old stash. Old, old stash. This is Rowan Denim. It is the original Rowan Denim from before today's Rowan Original Denim. Confusing, no? Possibly, it's the first denim yarn ever made, from over a decade ago. I got it free with my Rowan membership. That's back when no one ordered online. Westminster Fibers mailed out stapled photocopies of a book and magazine list from which we could order. Finding this was like an archeological dig, friends. 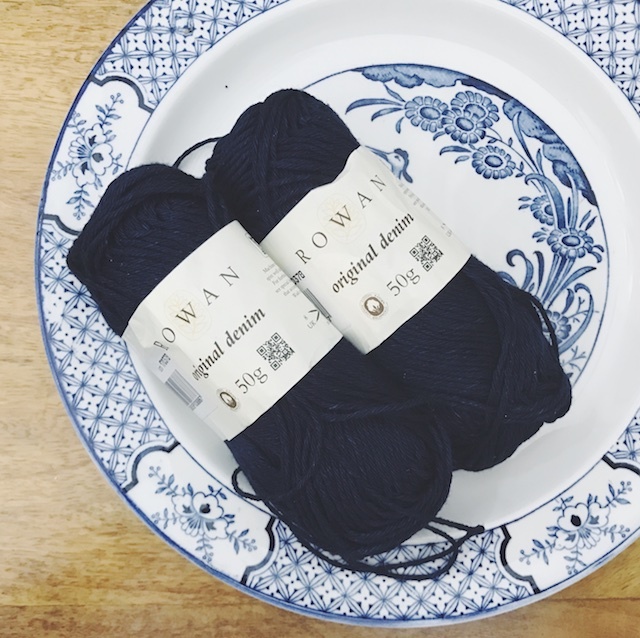 It was looking like I'd have to give up when, while upturning a bag of old cotton yarn, a half ball of my old Rowan Denim fell, literally fell, into my hands as I upturned a bag of old cotton yarns. A single beam of light shone on it from above and I realized I could make this work. 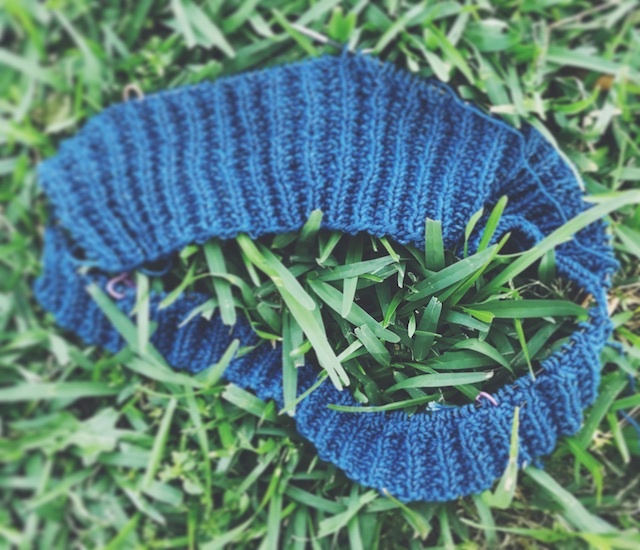 If I get desperate, I can frog the headband I made with the other half of that skein. Isn't this a crisp blue for summer? I am in love with these two textures next to each other! I have another top, also from Appalachian Knits, planned next that will work for all three KALs too: the Kinton Tee. As for the Natural Wardrobe MAL, I stink. I have put off ordering fabric to try my hand at sewing on my new (first) sewing machine for three months. Three months!! Okay, I have been recovering from a sprain and trying all sorts of new health things while being cloistered away. But still, it's ridiculous. I think I'm nervous about all of those bells and whistles. Also, it would need to be GOTS certified fabric for this KAL and I don't really know where to start. I'm just guessing my Joann won't have much of that to choose from. But, I'm going there this weekend to get some kind of fabric to play with. Hopefully, I will be able to familiarize myself with the machine before all of the machines take over. Geez. 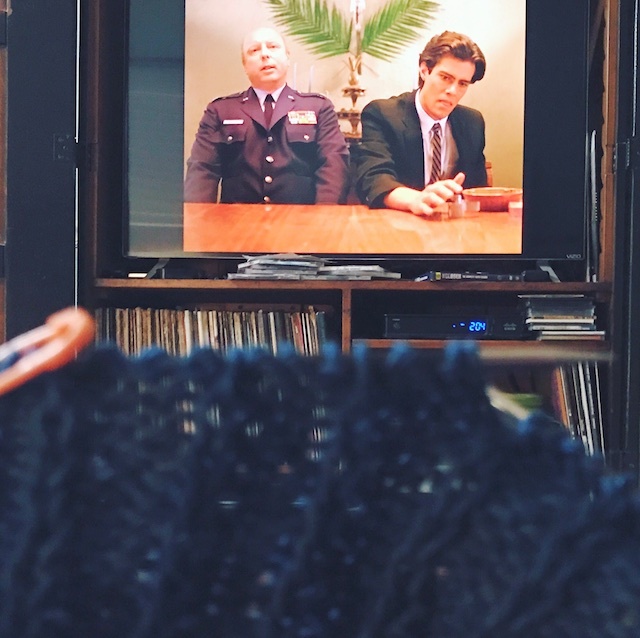 By the way, the Twin Peaks Rewatch party is still happening in the Great Northern Knits group on Ravelry. I'm catching up, slowly but surely while working on my vest. 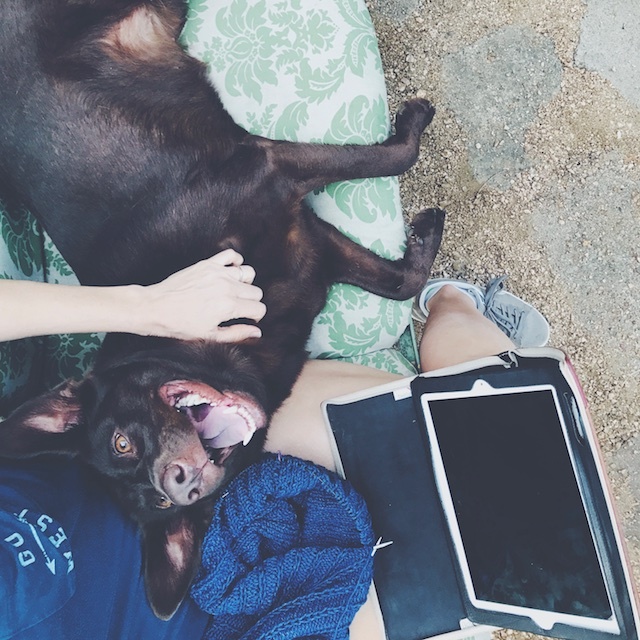 Come join in on one of the group thingies, friends! !